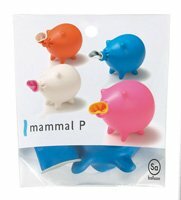 Mammal P by MARUSA BALLOONs, the only handcrafted balloons in Japan. All you need is just a little air and your cute & chubby mammal U comes to life! 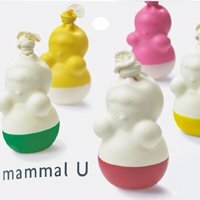 Mammal U by MARUSA BALLOONs, the only handcrafted balloons in Japan. A metallic balloon known as climbing man. He has magnets in his hands and toes, and will attach to metal surfaces suitable for magnets. 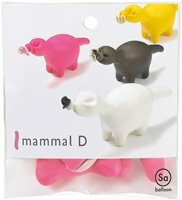 Mammal D by MARUSA BALLOONs, the only handcrafted balloons in Japan. 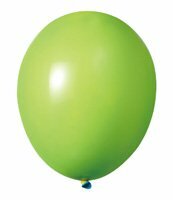 Dripping Balloon by MARUSA BALLOONs, the only handcrafted balloons in Japan. 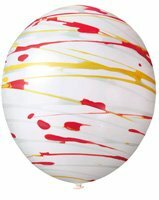 Hen-Shin Balloon by MARUSA BALLOONs, the only handcrafted balloons in Japan. Mammal Puppet by MARUSA BALLOONs, the only handcrafted balloons in Japan. BabyColor is a set of alternative crayons perfect for young children who are yet to learn a pencil hold. Multicolor crayons inspired from flower fields. These mosaic delights contain abundance of hues and shades.